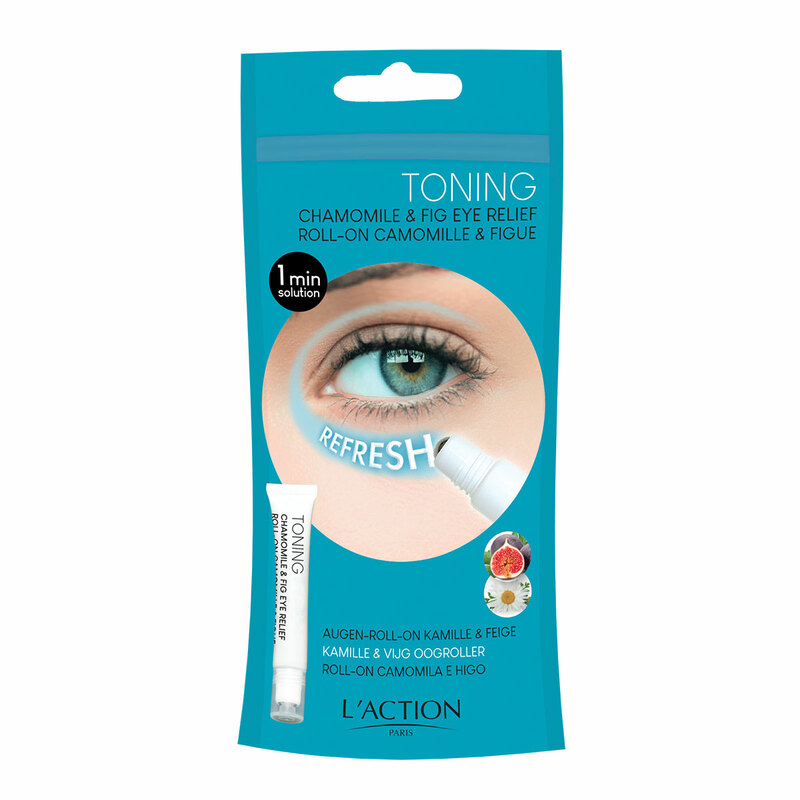 Enriched with extract of fig, this refreshing stick soothes and tones tired eye contours and helps to relax eyes. Camomile, renowned for its decongestant properties, produces brighter eyes and instantly relaxes the eye contours. Ideal for those days that follow celebrations. AQUA (WATER), PROPYLENE GLYCOL, BUTYLENE GLYCOL, PALMITIC ACID, STEARIC ACID, SODIUM HYDROXIDE, MENTHYL PCA, PHENOXYETHANOL, METHYLPARABEN, CHAMOMILLA RECUTITA (MATRICARIA) FLOWER EXTRACT, ETHYLPARABEN, BISABOLOL, ALLANTOIN, CI 19140 (YELLOW 5), FICUS CARICA (FIG) FRUIT EXTRACT, CI 42090 (BLUE 1), SODIUM BENZOATE, XANTHAN GUM, POTASSIUM SORBATE. Apply one or more times throughout the day by smoothing the stick over the area around the eyes before applying your usual make-up, or when needed. Keep away from children.